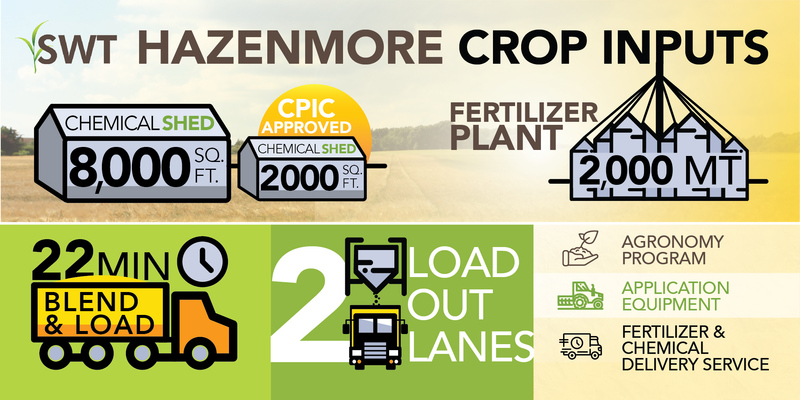 SWT Hazenmore is pleased to offer a full service farm supplies outlet including dry fertilizer, soil testing, full range of crop protection products, and application equipment. 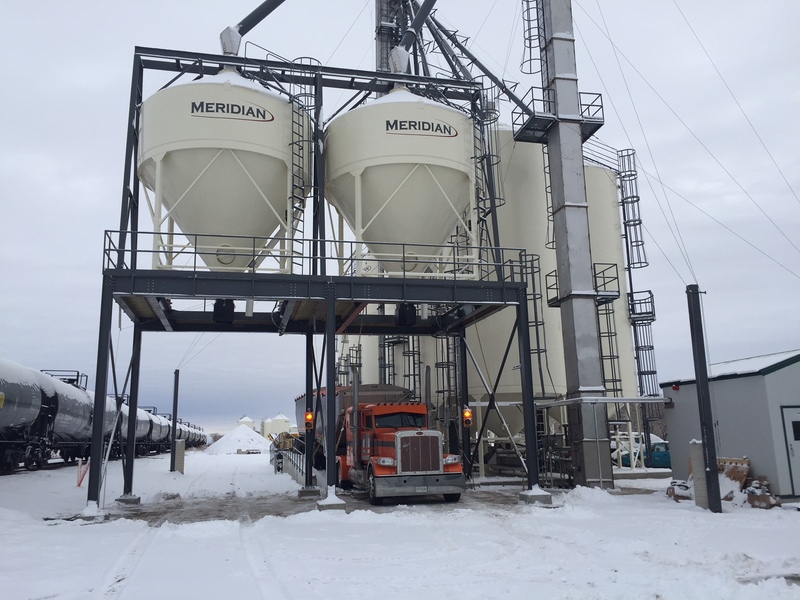 Our 2,000 tonne plant uses a 10 bin system, complete with 2 load 50 tonne load out lanes. You can enjoy the comfort of our office while we load your product, or we can arrange for a farm delivery from our site. 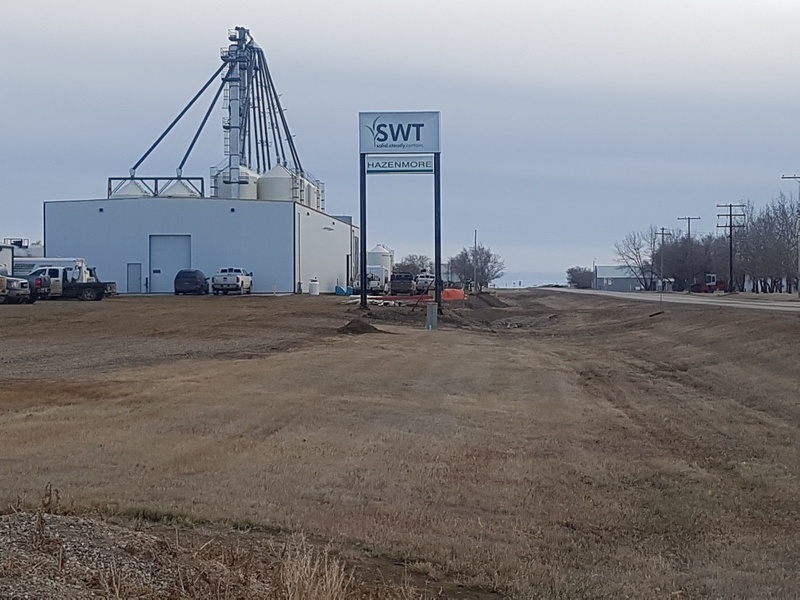 SWT Hazenmore has constructed a 8,000 sq ft. and 2,500 sq ft CPIC approved chemical storages sheds which house a full range of crop protection products. We also offer a delivery service for these products. A deferred input program is available, subject to credit approval.